1.00 The purpose of this policy is to establish guidelines for the booking of non-assigned University Space and Facilities and procedures for the effective booking University Space and Facilities. 1.01 University Space and Facilities are to be used to further the academic mission, vision and values of the University. 1.02 This policy applies to the booking of all University Space and Facilities. 20.9 Student Group Event – Any function organized by a University Student Group for its members and their guests using University Space and Facilities. 2.14 Utilization – compliance with the provincial established matrices for the efficient use of space in post-secondary institutions. 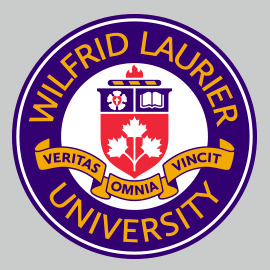 3.00 The lands and buildings of Wilfrid Laurier University are private property. The University has the right and responsibility to manage the use of and access to University Space and Facilities to ensure that the University’s academic and non-academic activities, the safety and security of persons and facilities, and the University’s reputation are not compromised. 3.01 All users of University Space and Facilities are required to comply with all applicable University policies, as well as all federal and provincial legislation and regulation and municipal by-laws relating to private property and the rights of individuals and the University. 4.00 University space and facilities are primarily for the academic, administrative and research use of the University. 4.01 Laurier reserves the right to impose conditions and/or limitations on the use of University Space and Facilities and to withdraw or deny access to use University Space and Facilities if it determines that the use may interfere with the University’s operations or activities or the safety and security of persons and facilities. 4.02 The University may assess and collect fees or costs for the use of University Space and Facilities and to take action to pursue any remedies or damages, as available at law, if its policies and procedures or booking or use agreements are not followed. 4.09 Large university-wide events such as Convocation and Board of Governors and University Senate meetings supersede most other reservations. 4.10 Internal Users have priority in the booking of University Space & Facilities. d. Events or activities for an External User or personal, non-University related activities by an Internal User. 1.01 First priority is given to Academic Use for access to University Space & Facilities, as required. 1.02 Academic Use space may not be booked for Short-term Casual Use until after the registration deadline for each term has passed and all Academic Use requirements have been met. 1.03 Academic Use space may not be booked for Short-term Casual Use during the final examination period until the final examination schedule has been confirmed and posted. 1.04 Research Use space is generally not available to be booked for Short-term Casual Use due to potential health and safety risks and the need to protect valuable research equipment. Activities or events to be held in a university Research Centre/Facility must follow the Academic and Administrative Use booking process. In the limited situations where Research Use space is available, all appropriate health and safety training, access and use protocols must be satisfied. 1.05 Short-term Casual Use of University Space & Facilities is available only to an approved User and must follow the booking processes set out in this procedure. 1.06 Any User of University Space & Facilities that does not provide full and accurate information as part of the booking procedures, or who uses the space or facilities in an inappropriate manner, may lose their booking privileges. Misrepresentation or omission of relevant information about the use may result in the cancellation of the booking with or without notice. University Student Groups or members of a University Student Group may lose their status as an authorized University Student Group and/or face further action under the Non-academic Code of Conduct. 1.07 Promotional materials, posters and banners for an event must follow University policy 4.6 Bulletin Boards and Temporary Signs and Notices. Promotional materials for an activity or event by a User of University Space & Facilities must clearly identify the User as the sponsor for the event or activity and may not use University branded property or imply University sponsorship. 2.01 All Short-term Casual Use of University Space & Facilities must have a booking contact for the User and a signed User agreement. 2.02 All conference bookings should be directed through Conference Services. 2.03 Bookings should typically be made at least fifteen (15) business days in advance of the event or activity. 2.04 Space and Facilities may only be booked by the individual or group that will be using the space and facilities. Users may not book University Space & Facilities on behalf of another individual or group. The User and the booking contact will be responsible and accountable for the use. Faculty and Staff Internal Users should complete the booking form available on connect.wlu.ca. 2.06 Academic Affiliates may book University Space and Facilities for Short-term Casual Use by following the booking procedure for Academic Affiliates, including completing the booking form available on wlu.ca. 2.07 University Affiliates may book University Space and Facilities for Short-term Casual Use by following the booking procedure for University Affiliates, including completing the booking form available on wlu.ca. 2.08 University Student Groups may book University Space and Facilities for Short-term Casual Use for a Student Group Event by following the booking procedure for University Student Groups, including completing the booking form available on students.wlu.ca. 2.09 External Users may book University Space and Facilities for Short-term Casual Use by following the booking procedures for External Users, including completing the booking form available on wlu.ca. 2.10 External Users are required to have liability insurance in place as a mandatory requirement for the use of University Space and Facilities. The insurance requirements, including amount, are as determined by the University. Proof of insurance must be provided in advance of the event. 3.01 No Short-term Casual Use of University Space and Facilities will be approved for an activity that is inconsistent or non-compliant with a University policy or procedure, or that is in conflict with existing University programs or agreements. 3.02 Booking of University Space & Facilities for Short-term Casual Use may be cancelled when the space is required for an Academic Use. The University will work with the user to determine if a suitable alternative space can be provided, failing which, any fees and deposits paid in advance will be refunded, if applicable. The requester has failed to pay invoices or fees relating to previous use of University Space & Facilities. The requester has failed to provide a signed booking agreement to the University. 3.04 An Internal User, Academic Affiliate, University Affiliate or University Student Group that has been refused a booking may make a written request for a review of the refusal to the Vice-President, Academic. 4.01 Booking fees for Short-term Casual Use of University Space and Facilities are determined at the discretion of Laurier and will be periodically reviewed and updated. 4.02 Booking Fees for the for the use of the room or space will typically be waived for an Internal User, Academic Affiliate, University Affiliates, or University Student Group unless a registration or admission fee is charged to attendees, in which case the regular Booking Fees will apply. All Other Charges will apply and are assessed at the time of booking based on the applicable fee-schedule. Security – As a condition of booking, the University may, in its sole discretion, require that additional authorized security be made available during the use of the space at the expense of the User. A security assessment will be completed by Special Constable Services to determine if the use may be disruptive to normal operations, impact the safe and usual use of University Space & Facilities, or if additional security is required. The University will determine all security requirements and only University-authorized and supervised security is permitted on University property. Equipment – Users are required to use Laurier systems and services for all activities using public address, audio-visual and other presentation equipment. Set-up – The time and costs associated with special set-up and tear-down for an event. Damage – Any damage or undue wear and tear to University facilities or equipment, including extraordinary caretaking or cleaning costs arising from the use. 4.04 Charges will be reported to the booking contact for payment as soon as possible. The University may request a deposit of up to 50% of the anticipated costs (including Booking Fee and Other Charges) where the costs are assessed to exceed $500.00. Deposits must be paid at least two (2) business days in advance of the use or event, failing which the event may be cancelled.